Lauren Sherrell Kaywood and David Shamblin have joined Pinnacle Financial Partners’ trust services group as senior vice presidents and trust services advisors. Kaywood comes to Pinnacle from O’Shaughnessy & Carter, where she was attorney of counsel focused on estate planning, litigation and residential and commercial real estate transactions. Previously, she was an attorney with the Wooden Law Firm. Kaywood earned her bachelor’s and master’s degree from the University of Tennessee at Chattanooga and her Doctor of Jurisprudence from the University of Tennessee at Knoxville College of Law. She is president of the South East Tennessee Lawyers’ Association for Women and is social chair for the Young Lawyers’ Division of the Chattanooga Bar Association. Shamblin most recently comes from Branch Banking and Trust, where he was a private wealth advisor. He also served as a branch manager for SunTrust Bank and as managing associate and financial advisor for Capital Financial Group/MassMutual. Shamblin earned his bachelor’s degree in public administration and nonprofit management from the University of Tennessee at Chattanooga. He holds Series 7 and 66 securities licenses and is licensed in life, accident and health insurance as well as long term care insurance in Tennessee. Shamblin currently serves as chairman of the board of directors for Belvoir Christian Academy, is the former treasurer and founding board member of Common Cents Financial Literacy in Chattanooga and is continually involved in alumni activities at McCallie School. Amanda Plecas is now manager of communications for Volkswagen Chattanooga. In this role, Plecas will lead external and internal communications for the factory and will report to the Volkswagen of America communications department. Before this role, Plecas managed the team and led creative services for Chattanooga-based Waterhouse Public Relations Agency. Prior to Waterhouse, Plecas was the communications and government relations manager for Wacker Polysilicon North America. Outside of Volkswagen, Plecas will continue her work as a part-time faculty member at Lee University in Cleveland, where she teaches public relations writing and crisis communication courses. A Chattanooga native, Plecas graduated from Leadership Chattanooga and earned a master’s degree in rhetoric and composition and an undergraduate degree in writing from the University of Tennessee. Plecas also holds an accreditation in public relations, is a certified public information officer and is certified in organizational compliance and ethics. Her success in strategic communications was recognized by PR News in 2016, when she was a top-five global finalist for the Corporate PR Professional of the Year. Siskin Children’s Institute has named Emily Brandt, M.D., board-certified in general pediatrics and developmental-behavioral pediatrics, as the medical director for the Center for Developmental Pediatrics. An assistant professor, Dr. Brandt also holds the title of interim division chief of Developmental and Behavioral Pediatrics at The University of Tennessee at Chattanooga College of Medicine. Dr. Brandt received her Bachelor of Science in music from Southern Adventist University and her Doctor of Medicine from Loma Linda University’s School of Medicine. She completed her internship and residency in pediatrics at Loma Linda University. Post-graduate training in leadership education in neurodevelopmental and related disabilities at the Center for Disabilities and Development at The University of Iowa and a fellowship in developmental-behavioral pediatrics at The University of Iowa Children’s Hospital followed. Dr. Brandt holds membership in the American Academy of Pediatrics and the Society for Developmental and Behavioral Pediatrics. She has been employed at Siskin Children’s Institute since 2013. The Nuclear Regulatory Commission has selected Natasha Childs as resident inspector at the Sequoyah nuclear power plant near Soddy-Daisy. The two-unit plant is operated by the Tennessee Valley Authority. Childs joined the NRC in October 2008 as a project engineer in the Resident Inspector Development program in the NRC’s Region II office in Atlanta. She successfully completed the Resident Inspector Qualification program and was the resident inspector at the Crystal River nuclear power plant in Florida until she was assigned to the Oconee facility in South Carolina in 2013. Prior to joining the NRC, Childs spent eight years working as a design engineer and system engineer at the Palisades nuclear power plant in Michigan and the Watts Bar nuclear power plant in Tennessee. She attended the University of Illinois in Champaign, where she received a Bachelor of Science degree in mechanical engineering. At least two NRC resident inspectors are assigned to each operating U.S. commercial nuclear power plant. They serve as the agency’s eyes and ears at the facility, conducting inspections, monitoring projects and interacting with plant workers and the public. Resident inspectors can serve at a reactor site for up to seven years. Childs joins Senior Resident Inspector Dave Hardage at the Sequoyah site. 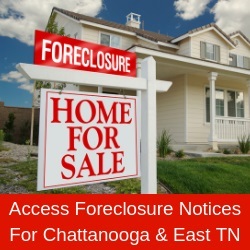 The Sequoyah resident inspectors can be reached at 423 842-8001.